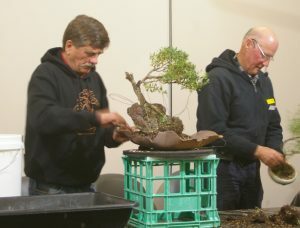 This meeting included the Annual General Meeting of the club, followed by a general meeting with a review of some of the display trees, and a demonstration by Quentin on redesign and replanting of a Coastal Tea Tree setting. 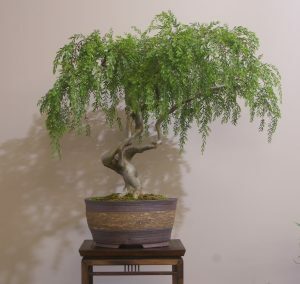 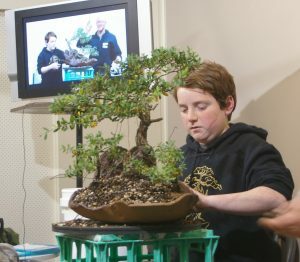 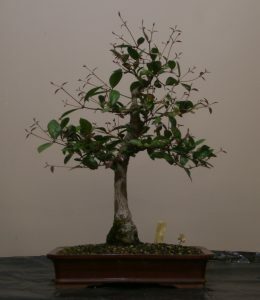 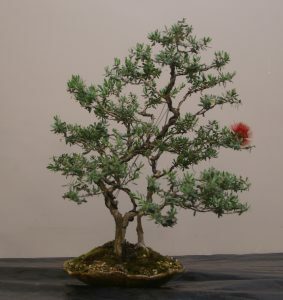 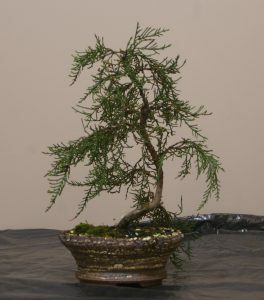 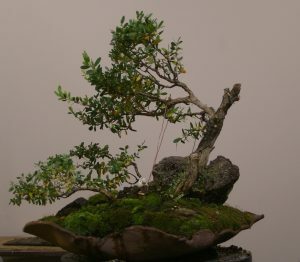 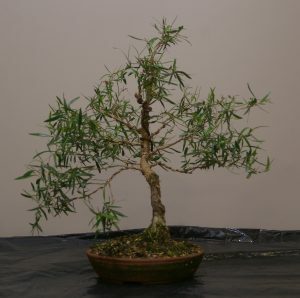 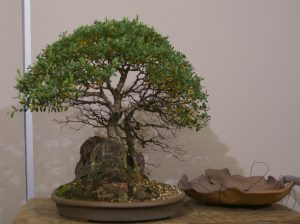 The AGM reports outlined some of the key activities of the club in the preceding year, and especially noted the Club’s exhibition of native trees as bonsai at Domain House in April, and also the introduction of the club database of native bonsai, now available to members for reference. 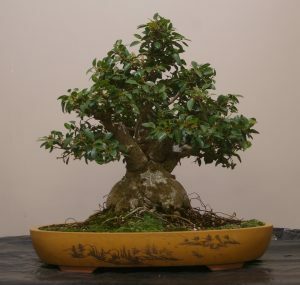 The committee for 2016-17 elected at the AGM consists of President – Quentin Valentine, Vice President – Kevin Ritchie, Secretary – Marcela Ferreira, Treasurer – Tracy Walsh, and Committee Members – Matt Robinson, Barry Woods and Bill Kernaghan. 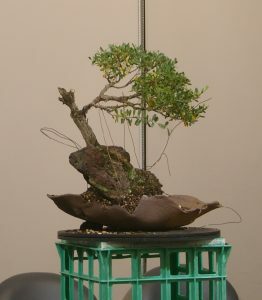 Quentin’s demonstration started with the surviving single Coastal Tea Tree originally planted with two others as a root-over-rock group planting, and remodeled this into a quite different group, with the (significantly changed) larger tree now accompanied by two new smaller trees in a different layout.